With all the TV shows ending for the season (and some forever) I decided to return to this my lonely blog to profess my undying love for the epicness of TV show couples. If there was ever a couple that were clearly mean’t for each other, it was Cory and Topanga. Even when they were little kids in Middle School and Cory teased Topanga we all knew that they would eventually fall in love. They had their hard times like when Cory was too chicken to ask her out or their little breakups or the time that ski instructor kissed Cory, but I always knew without a doubt that they would have their happy ending, that they would prevail and then they eventually did get married and are about to embark on a spinoff series with their daughter, it’s good to know that some couples do really live on after the show has ended. (P.S. I’m super excited for Girl Meets World). Angela Chase and Jordan Catalano were my first angst-ridden couple. I still find it a sin that My So-Called Life only lasted one season whereby series like Glee last six. The closest current show to this, in my opinion, is Awkward. I have a weakness for stories of outsiders who have a crush on popular guys (who are always so much more than what they let on) and eventually get their chance with them. Angela and Jordan were such a great mix of angst and passion and love and I felt like I was going through the ups and downs of their relationship with them, when he drunkenly slept with Rayanne I wanted to throttle him. But like Zoe and Wade in Hart of Dixie, I believe they could’ve made it past that hurdle, that the emotions that they felt for one another would have been able to help them patch things up. I believe that after high school they would’ve parted ways but would keep returning to each other, their obsessive love unable to be replicated. Touching on what I said above with Pacey and Joey, I love a good build-up. A ‘will-they won’t they’ as it’s commonly known as. Who’s the Boss gave us eight seasons of wondering, waiting and frustration over whether Tony and Angela would actually admit their love to each other, it was equal parts annoying and thrilling. 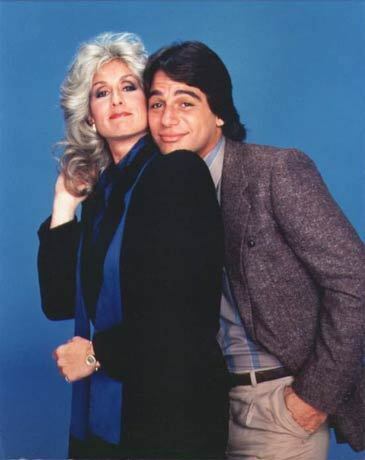 I was too young to watch Who’s the Boss when it first came out but I watched the reruns later on and it has a kind of timelessness about it even though many times Angela’s hair made me cringe. It showed a couple where the woman was a strong, independent businesswoman and a man who didn’t resent her because of it, a man who was happy to play the subordinate, supporting role. Even though this sounds like the stuff fairytales are made of, it shows a dynamic with was unique on television and it helps to show that couples from all spheres of life, in all situations can make it work, even if they did rob us of a Tony/Angela wedding. Sigh, I have to limit my word count here so that I don’t go into a rant about the absolute beauty of this couple. I am aware (before someone points it out to me) that they are not couple yet, but I think the emotions, love and interaction between these two are enough to garner them a place on this list (and it’s my list, my rules). If Pacey and Joey and Tony and Angela taught me patience, Caroline and Klaus is the couple where I’ve had to put it into practice. It has been two years and the most affection the two have gotten is a tentative friendship, a kiss on the cheek and a promise of one day but the love for them are off the charts. I have never seen such a large body of support for a couple in a very long time, people all across the world campaigning and fighting for their relationship even though they are currently on two different TV shows and Caroline is still dating another character. For me, the appeal of this couple comes from the poeticness behind their story, Klaus is the thousand-year old villainous vampire/hybrid who doesn’t believe in love, Caroline is the eighteen-year old young vampire, who falls in love too quickly and who feels she is no-one’s first choice. He falls in love with her, she refutes him; he craves loyalty and trust, she is the most loyal and trustworthy person. It is depicted as unrequited love from Klaus’ side but it shows the appeal for both of them and it has been evidenced that Caroline was starting to feel the same way. It’s a beautiful story that if they weren’t fated to be supporting characters on The Vampire Diaries, would have been amazing to see unveiled on our screen. We have seen their relationship progress but their screentime has been minimal with much of what has transpired between them happening offscreen, which robs the viewer of possibly one of the best romances on television today. Klaus and Caroline, with the way that they push boundaries and bring the grey area to the surface whilst still showing us a raw and passionate love, have the potential of becoming an epic love that could rival Scarlett/Rhett, Lizzie/Darcy and all those others that we keep mentioning in pop culture. A teen drama show about supernatural creatures might not be a classic novel but in years to come these mediums will be judged accordingly. The fact that if Klaus and Caroline’s romance should continue it would probably happen offscreen when both The Vampire Diaries and The Originals are complete will continue the disservice that viewers have gotten from the way this couple has been handled. So as this has already become too long, I hope that one day Klaus and Caroline will get their time in the sun (onscreen) so that they might be offered a more prominent place on this list and will live up to their potential. Who are your epic TV Show couples? The ones that make you sigh and cry and turn in every week? Let me know in the comments. Thank you for understanding the beauty of Klaroline!